Bank of America is recognized as a top employer by Working Mother magazine, the Human Rights Campaign, and G.I. Jobs magazine. 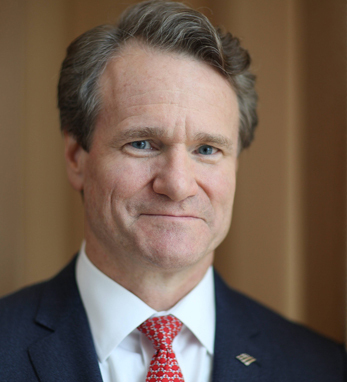 Moynihan leads the company’s Global Diversity and Inclusion Council and is a member of the Museum Council for the Smithsonian’s National Museum of African American History and Culture. Moynihan is also a trustee of the Corporation of Brown University.